Book your MOT Test with our LIVE booking system. Audi specialist in St Asaph. SEAT specialist in St Asaph. SKODA specialist in St Asaph. VW specialist in St Asaph. Audi, SEAT, Skoda & VW specialists. St Asaph MOT & Servicing for ALL makes & models. 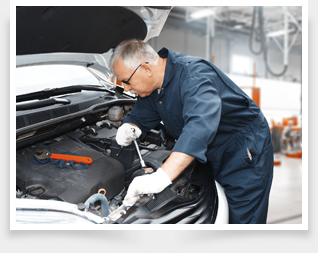 Auto Services NW is an garage that is located on Lower Denbigh Road, St. Asaph in Clwyd. We offer MOT Testing, Servicing and all other garages services for all makes and models. As well as that, we are Audi, SEAT, Skoda and Volkswagen specialists and we’re able to offer servicing to manufacturers schedules using genuine parts. All of our specialist services are covered under warranty. We have been servicing St Asaph since 1999 and have a long standing reputation within our local area and we’ve always strived to offer the best available service at independent prices.